In 1931 a book full of thrilling adventures set mostly in Malaya appeared in London under the title A Yellow Sleuth: Being the Autobiography of “Nor Nalla” (Detective-Sergeant Federated Malay States Police). Reviewers concluded that the stories were just barely plausible, but agreed that the author knew Malaya intimately. Nor Nalla is an anagram for Ron Allan, who spent four years working on a rubber plantation in Malaya shortly before World War I. Like Kipling’s famous colonial spy, Kim, the “yellow sleuth” is a master of undercover operations, and this reissued work explores vast locales, from the forests of Malaya to the ports of Java, from London’s underbelly to the camps of Chinese laborers in WWI Flanders. Throughout, readers are left to differentiate between fiction and fact, and ponder questions of authorship, in this “impossible fantasy of hybridity,” as Phillip Holden calls it in his perceptive introduction. Contemporary readers will not only savor the book’s tales of adventure and detection, they will also appreciate the ways that the author brings to life— and reveals the contradictions of—late colonial society. People who call themselves Malay - Melayu - are found in many countries, united by a notional shared identity but divided by political boundaries, divergent histories, variant dialects and peculiarities of local experience. While the term 'Malay' is widely used and readily understood in Southeast Asia, it remains elusive and open to varying interpretations. "Malay" as an identity, or nationality, is one of the most challenging and perplexing concepts in the multi-ethnic world of Southeast Asia. 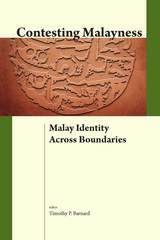 This book assembles research on the theme of how Malays have identified themselves in time and place, developed by a wide range of scholars. 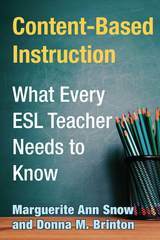 The authors include Malaysian anthropologist Shamsul A.B., Indonesian poet Tenas Effendy, and linguists and historians based in Australia, the Netherlands, Singapore and the U.S.A. While the authors describe some of the historical and cultural patterns that make up the Malay world, taken as a whole their work demonstrates the impossibility of offering a definition or even a description of 'Melayu' that is not rife with omissions and contradictions. 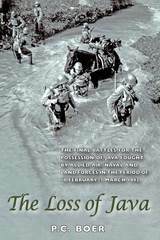 The Loss of Java explains in detail the air, sea and land battles between the Allied and Japanese armed forces during the battle for Java that followed the evacuation of southern Sumatra in February 1942. Little has been written about the allied air campaign, or about why Dutch forces fought just one major land battle with the Japanese, the Battle of the Tjiater Pass, in the later stages of the struggle. P.C. Boer considers whether the assessment of Major General Van Oyen that deploying the Allied air forces might prevent Japanese invasion of Java was realistic, and whether reliance on air power limited the capacity of land and naval forces to repel Japan's advances. The generally accepted idea is that the Allies were ineffective in their fight against the Japanese invaders but in fact the Japanese suffered serious losses. Boer's study shows that Dutch strategy grew out of a carefully-devised plan of defense, and that the battle for Java comprised not one (the Battle of the Java Sea) but four major engagements. However, Japanese commanders at various levels consciously took steps that exposed their forces to great risk but succeeded in putting the Allies under great pressure. In the end the Royal Netherlands East Indies Army (KNIL) and the allied forces capitulated on 8 March 1942. This book is a translation of Het Verlies Van Java: Een kwestie van Air Power. De eindstrijd om Nederlands-Indie van de geallieerde lucht-, zee- en landstrijdkrschten in de periode van 18 februari t/m 7 maart 1942 (Amsterdam: Bataafsche Leeuw BV for the Koninklijke Militaire Academie, 2006). The oil palm industry has transformed rural livelihoods and landscapes across wide swathes of Indonesia and Malaysia, generating wealth along with economic, social, and environmental controversy. Who benefits and who loses from oil palm development? 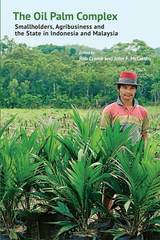 Can oil palm development provide a basis for inclusive and sustainable rural development? Based on detailed studies of specific communities and plantations and an analysis of the regional political economy of oil palm, this book unpicks the dominant policy narratives, business strategies, models of land acquisition, and labour-processes. It presents the oil palm industry in Malaysia and Indonesia as a complex system in which land, labour and capital are closely interconnected. Understanding this complex is a prerequisite to developing better strategies to harness the oil palm boom for a more equitable and sustainable pattern of rural development. In an important social change, female Muslim political leaders in Java have enjoyed considerable success in direct local elections following the fall of Suharto in Indonesia. 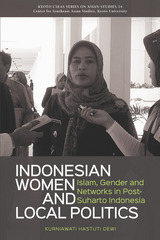 Indonesian Women and Local Politics shows that Islam, gender, and social networks have been decisive in their political victories. Islamic ideas concerning female leadership provide a strong religious foundation for their political campaigns. However, their approach to women's issues shows that female leaders do not necessarily adopt a woman's perspectives when formulating policies. This new trend of Muslim women in politics will continue to shape the growth and direction of democratization in local politics in post-Suharto Indonesia and will color future discourse on gender, politics, and Islam in contemporary Southeast Asia. The countries that make up Southeast Asia are seeing an incredible resurgence in their economic power. Over the past fifty years, their combined wealth has reached the same level as the United Kingdom and, taken together, they are on track to become the fifth-largest world economy. But that stability and success has drawn the attention of the second largest world economy—China. The emerging superpower is increasingly involved in Southeast Asia as part of the ongoing global realignment. As China deepens its influence across the region, the countries of Southeast Asia are negotiating spaces for themselves in order to respond to—or even challenge—China’s power. 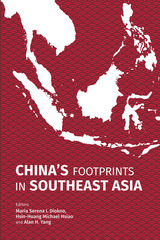 This is the first book to survey China’s growing role in Southeast Asia along multiple dimensions. It looks closely and skeptically at the multitude of ways that China has built connections in the region, including through trade, foreign aid, and cultural diplomacy. It incorporates examples such as the operation of Confucius Institutes in Indonesia or the promotion of the concept of guangxi.China’s Footprints in Southeast Asia raises the question of whether the Chinese efforts are helpful or disruptive and explores who it is that really stands to benefit from these relationships. The answers differ from country to country, but, as this volume suggests, the footprint of hard and soft power always leaves a lasting mark on other countries’ institutions. The Malay-language term used for indigenous minority peoples of Peninsular Malaysia, “Orang Asli”, covers at least 19 culturally and linguistically distinct subgroups. Until about 1960 most Orang Asli lived in small camps and villages in the coastal and interior forests, or in isolated rural areas, and made their living by various combinations of hunting, gathering, fishing, agriculture, and trading forest products. By the end of the century, logging, economic development projects such as oil palm plantations, and resettlement programmes have displaced many Orang Asli communities and disrupted long-established social and cultural practices. 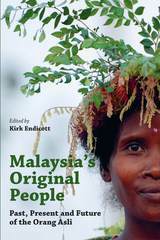 The chapters in the present volume provide a comprehensive survey of current understandings of Malaysia’s Orang Asli communities, covering their origins and history, cultural similarities and differences, and they ways they are responding to the challenges posed by a rapidly changing world. 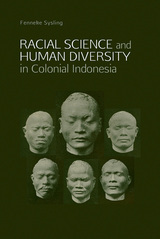 The authors, a distinguished group of Malaysian (including Orang Asli) and international scholars with expertise in anthropology, archaeology, biology, education, therapy, geography and law, also show the importance of Orang Asli studies for the anthropological understanding of small-scale indigenous societies in general. Guns of February shows the Fall of Singapore and Japan's 1941 military campaign in Malaya through the eyes of Japanese soldiers who took part, based on interviews, memoirs, war diaries, and other Japanese-language sources. Although an enormous number of books have been published on Japan's wartime advance into Southeast Asia, few books in English make much use of Japanese sources, and they reveal little of what happened on the Japanese side. In the words of the author, the Japanese"'advance by brigade groups', 'outflank the defence', 'sustain many casualties', and remain altogether a largely faceless mass bicycling their way down to Singapore." In Guns of February some of the voices of these soldiers are finally heard, and they tell a fascinating story. A few of them were professional soldiers who served their country with commitment and dedication, but many were conscripts hoping to stay alive, curious and apprehensive about the countries they entered, and moved by the plight of the people whose cities and towns they sometimes destroyed. Many were young men, interested in girls and in the sights and sounds of Southeast Asia, but also missing their families and the familiar world of Japan. It is a picture far removed from the staple view of the remorseless and fanatic Japanese soldier totally devoted to his Emperor and determined to die for his country. 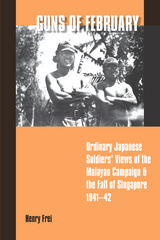 In writing this account of the Japanese advance on Singapore, the author attempted to show the universal humanity of the actors concerned. At the core of this book is a seemingly simple question: What is Asia? 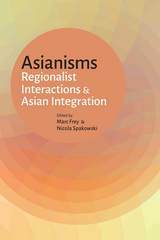 In search of common historical roots, traditions and visions of political-cultural integration, first Japanese, then Chinese, Korean and Indian intellectuals, politicians and writers understood Asianisms as an umbrella for all conceptions, imaginations and processes which emphasized commonalities or common interests among different Asian regions and nations. 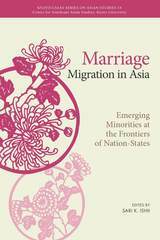 This book investigates the multifarious discursive and material constructions of Asia within the region and in the West. It reconstructs regional constellations, intersections and relations in their national, transnational and global contexts. Moving far beyond the more well-known Japanese Pan-Asianism of the first half of the twentieth century, the chapters investigate visions of Asia that have sought to provide common meanings and political projects in efforts to trace, and construct, Asia as a united and common space of interaction. By tracing the imagination of civil society actors throughout Asia, the volume leaves behind state-centered approaches to regional integration and uncovers the richness and depth of complex identities within a large and culturally heterogeneous space. In this important new book, High argues that poverty reduction policies are formulated and implemented in fields of desire. Drawing on psychoanalytic understandings of desire, she shows that such programs circulate around the question of what is lacking. Far from rational responses to measures of need, then, the politics of poverty are unconscious, culturally expressed, mutually contradictory, and sometimes contrary to self-interest. Based on long-term fieldwork in a Lao village that has been the subject of multiple poverty reduction and development programs, High’s account looks at implementation on the ground. While these efforts were laudable in their aims of reducing poverty, they often failed to achieve their objectives. Local people received them with suspicion and disillusionment. Nevertheless, poverty reduction policies continued to be renewed by planners and even desired locally. High relates this to the force of aspirations among rural Lao, ambivalent understandings of power and the “post-rebellious” moment in contemporary Laos. The history of regional sporting events in 20th century Asia yields insights into Western and Asian perspectives on what defines modern Asia, and can be read as a staging of power relations in Asia and between Asia and the West. The Far Eastern Championship Games began in 1913, and were succeeded after the Pacific War by the Asian Games. 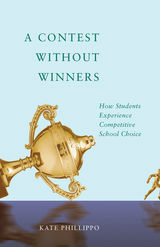 Missionary groups and colonial administrations viewed sporting success not only as a triumph of physical strength and endurance but also of moral education and social reform. Sporting competitions were to shape a ‘new Asian man’ and later a ‘new Asian woman’ by promoting internationalism, egalitarianism and economic progress, all serving to direct a “rising” Asia toward modernity. Over time, exactly what constituted a “rising” Asia underwent remarkable changes, ranging from the YMCA’s promotion of muscular Christianity, democratization, and the social gospel in the US-colonized Philippines to Iranian visions of recreating the Great Persian Empire. 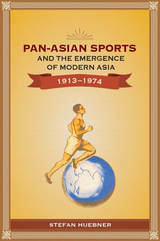 Based on a vast range of archival materials and spanning sixty years and three continents, Sports and the Emergence of Modern Asia shows how pan-Asian sporting events helped shape anti-colonial sentiments, Asian nationalisms, and pan-Asian aspirations in places as diverse as Japan and Iran, and across the span of countries lying between them. The 1950s and ’60s are now thought to be the Golden Age of Malay film. A big part of what made films of this era so popular was their beguiling music. In this absorbing study, the scholar and musician Adil Johan examines the social and cultural impact of the film music of the period, and its role in nation-making. Drawing on analyses of lyrics and music, interviews with musicians, and the content of Malay entertainment magazines, in an approach that spans ethnomusicology and cultural studies, he reveals this body of work to be a product of a musical and cultural cosmopolitanism in the service of a nation-making process based on ideas of Malay ethnonationalism, initially fluid but increasingly homogenized over time. 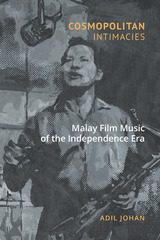 Malay film music of the period covertly expressed radical sentiments despite being produced within a commercialized film industry. Written in a lively style and illustrated with musical examples, the book will satisfy ethnomusicologists, composers, and film studies scholars interested in Southeast Asia and the Malay world. 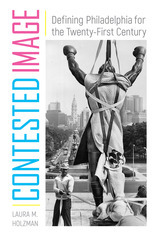 It will equally be of interest to scholars interested in the role of culture in nation-making more broadly. 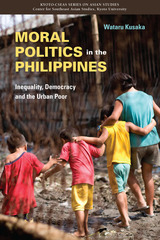 Moral Politics in the Philippines offers an in-depth examination of the political participation and discourse of the urban poor in Manila. After the ousting of Ferdinando Marcos in 1986, society in the Philippines fractured along socioeconomic lines. The educated middle class began to recognize themselves as moral citizens and political participants while condemning the poor as immoral “masses” who earn money illegally and support corrupt leaders. Conversely, the poor believe themselves to be morally upright and criticize the rich as arrogant oppressors. Wataru Kusaka looks at the dangers of this moralization of politics during the last several decades, and he analyzes the damaging effects it has had on democracy by excluding much of society and marginalizing the interests of those most in need of resources. Globalization has opened up a flow of economic and cultural exchanges. While we often think about these concepts in terms of trade policies or international treaties, they also play out in more intimate spheres, such as transnational marriages. Northeast Thailand has seen an increase in marriages between Thai women and farang (Western) men. Often the women are less well off and from rural areas in the country, while the men largely come from the United States and Europe and settle permanently in Thailand. These unions have created a new social class, with distinctive consumption patterns and lifestyles. And they are challenging gender relations and local perceptions of sexuality, marriage, and family. In Love, Money and Obligation, Patcharin Lapanun offers an exploration of these marriages and their larger effect on Thai communities. Her interviews with women and men engaging in these transnational relationships highlight the complexities of the associations, as they are shaped by love, money, and gender obligations on the one hand and the dynamics of socio-cultural and historical contexts on the other. Her in-depth and even-handed examination highlights the importance of women’s agency and the strength and creativity of people seeking to forge meaningful lives in the processes of social transition and in the face of local and global encounters. The Association of Southeast Asian Nations (ASEAN) is a miracle. In an era of growing cultural pessimism, there is a pervasive belief that different civilizations cannot function together. Yet the ten countries of ASEAN are a thriving counter-example of coexistence. Here, more than 625 million people live together in peace. In 1967, leaders from Indonesia, Malaysia, the Philippines, Singapore, and Thailand struck a landmark agreement, forming ASEAN. They had realized that political and economic cooperation would bring greater stability and prosperity to the region. Fifty years and five additional countries later, the alliance has remained one of the world’s most successful collaborations. Kishore Mahbubani and Jeffery Sng explain how this partnership has benefited the ten member countries and why it should serve as a model for other regions of the world, challenging our assumptions about international cooperation. As the world turns to Asia and the United States and China jostle for dominance, the ASEAN region will have an undeniably powerful role in shaping our global systems. Mahbubani and Sng offer an important primer for understanding this immensely successful—and woefully underappreciated—regional organization. 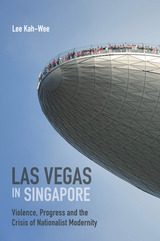 Singapore's success story has increasingly been recognised but few have told it from the perspective of an insider. 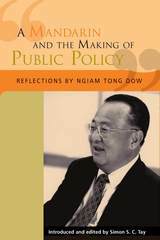 As a senior civil servant and "mandarin" from 1959 to 1999, Ngiam Tong Dow served with the founding generation of political leaders and contributed to the country's economic growth. In this book, he reflects on these experiences, sharing personal anecdotes and perceptive insights of Singapore's early decades. He also boldly questions some of the policies of government and emerging trends in the country to suggest how Singapore must change to survive and thrive in the future. Extreme inequalities in income,wealth and power lie behind Thailand’s political turmoil. What are the sources of this inequality? Why does it persist, or even increase when the economy grows? How can it be addressed? 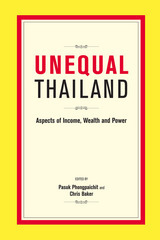 The contributors to this important study—Thai scholars, reformers and civil servants—shed light on the many dimensions of inequality in Thailand, looking beyond simple income measures to consider land ownership, education, finance, business structures and politics. The contributors propose a series of reforms in taxation, spending and institutional reform that can address growing inequality. Inequality is among the biggest threats to social stability in Southeast Asia, and this close study of a key Southeast Asian country will be relevant to regional policy-makers, economists and business decision-makers, as well as students of oligarchy and inequality more generally. B. J. Habibie may have served the shortest term of any of Indonesia’s presidents, but his push for decentralization would affect the country for decades. Habibie came to power in 1998 and immediately set to work restructuring the government. He gave local districts more power, allowing them to elect their own leaders and create their own bylaws. After years of authoritarian rule, these reforms were meant to return power to the people. But that led to local governments engaging in bureaucratic and political conflict with the central government over control of valuable natural resources and the distribution of the revenue they generated. Decentralization became the most important political economic development in Indonesia of the past thirty years. Networked Business and Politics in Decentralizing Indonesia evaluates three cases of deep-seated political conflict and intrigue including central government, local governments, and multinational companies. 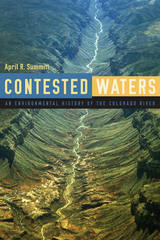 It looks at how the structure of the national political economy has changed as the result of local politicians becoming involved in disputes with the national government over control of natural resources. 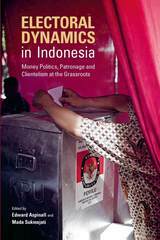 It also analyzes how these changes will affect the distribution of wealth in the country as well as Indonesia’s evolving democratic politics and modes of governance. In northern Sumatra, as in Malaya, colonial rule embraced an extravagant array of sultans, rajas, datuks and ulèëbalangs. In Malaya the traditional Malay elite served as a barrier to revolutionary change and survived the transition to independence, but in Sumatra a wave of violence and killing wiped out the traditional elite in 1945‒46. 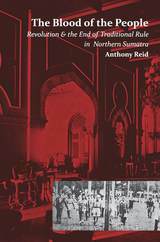 Anthony Reid’s The Blood of the People, now available in a new edition, explores the circumstances of Sumatra’s sharp break with the past during what has been labelled its “social revolution”. The events in northern Sumatra were among the most dramatic episodes of Indonesia’s national revolution, and brought about more profound changes even than in Java, from where the revolution is normally viewed. Some ethnic groups saw the revolution as a popular, peasant-supported movement that liberated them from foreign rule. Others, though, felt victimised by a radical, levelling agenda imposed by outsiders. Java, with a relatively homogeneous population, passed through the revolution without significant social change. The ethnic complexity of Sumatra, in contrast, meant that the revolution demanded an altogether new “Indonesian” identity to override the competing ethnic categories of the past. The abolition of slavery and similar institutions of servitude was an important global experience of the nineteenth century. Considering how tightly bonded into each local society and economy were these institutions, why and how did people decide to abolish them? 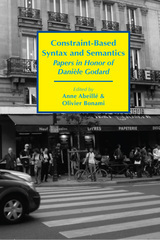 This collection of essays examines the ways this globally shared experience appeared and developed. Chapters cover a variety of different settings, from West Africa to East Asia, the Indian Ocean and the Caribbean, with close consideration of the British, French and Dutch colonial contexts, as well as internal developments in Russia and Japan. What elements of the abolition decision were due to international pressure, and which to local factors? Furthermore, this collection does not solely focus on the moment of formal abolition, but looks hard at the aftermath of abolition, and also at the ways abolition was commemorated and remembered in later years. This book complicates the conventional story that global abilition was essentially a British moralizing effort, “among the three or four perfectly virtuous pages comprised in the history of nations”. 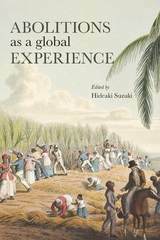 Using comparison and connection, this book tells a story of dynamic encounters between local and global contexts, of which the local efforts of British abolition campaigns were a part. Looking at abolitions as a globally shared experience provides an important perspective, not only to the field of slavery and abolition studies, but also the field of global or world history. Indonesia is home to diverse peoples who differ from one another in terms of physical appearance as well as social and cultural practices. The way such matters are understood is partly rooted in ideas developed by racial scientists working in the Netherlands Indies beginning in the late nineteenth century, who tried to develop systematic ways to define and identify distinctive races. Their work helped spread the idea that race had a scientific basis in anthropometry and craniology, and was central to people’s identity, but their encounters in the archipelago also challenged their ideas about race. In this new monograph, Fenneke Sysling draws on published works and private papers to describe the way Dutch racial scientists tried to make sense of the human diversity in the Indonesian archipelago. The making of racial knowledge, it contends, cannot be explained solely in terms of internal European intellectual developments. It was ‘on the ground’ that ideas about race were made and unmade with a set of knowledge strategies that did not always combine well. Sysling describes how skulls were assembled through the colonial infrastructure, how measuring sessions were resisted, what role photography and plaster casting played in racial science and shows how these aspects of science in practice were entangled with the Dutch colonial Empire. Anthropology is a flourishing discipline in Southeast Asia. Anthropologists in the region spent the second half of the twentieth century establishing the field, and now, as we move further into the twenty-first century, a new generation is working to shift the discipline from European and American narratives to a Southeast Asian locus. There has been a vigorous debate and a wide range of suggestions on what might be done to break from the Euro-, andro-, hetero-, and other centrisms of the discipline and move to an emerging world anthropologies perspective. But actually transforming anthropology requires going beyond mere critique. 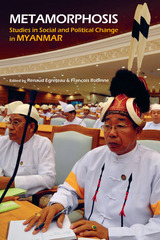 Southeast Asian Anthropologies outlines the practices and paradigms of anthropologists working from and within Southeast Asia. 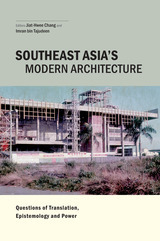 It addresses three overlapping issues: the historical development of unique traditions of research, scholarship, and social engagement across diverse anthropological communities of the region; the opportunities and challenges faced by Southeast Asian anthropologists as they practice their craft in different institutional and political contexts; and the emergence of locally grounded, intraregional, transnational linkages and practices undertaken by Southeast Asian-based anthropologists. It is a much-needed assessment of the state of the discipline that will be an invaluable tool for anthropologists navigating a new era of development and challenges. In the British colonial city of Singapore, municipal authorities and Asian communities faced off over numerous issue. As the city expanded, disputes arose in connection with sanitation, housing, street names, control over pedestrian 'five-foot-ways', and sacred spaces such as burial grounds. 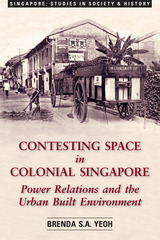 Brenda Yeoh's Contesting Space in Colonial Singapore details these conflicts and how they shaped the city. The British administration structured the private and public environments of the city with an eye toward shaping human behaviour, following scientific principles and the lessons of urban planning in other parts of the world. For the Asian communities, Singapore was the place where they lived according to their own values, priorities and resources. The two perceptions of the city frequently clashed, and the author reads the cityscape of Singapore as the result of this contest between discipline and resistance. Drawing on meticulous research and a theoretically sophisticated use of cultural and social geography, post-colonial historical discourse, and social theory, the author offers a compelling picture of a critical stage in Singapore's past. It is an important contribution to the study of colonial cities and an indispensable resource for understanding the shape of modern Singapore.